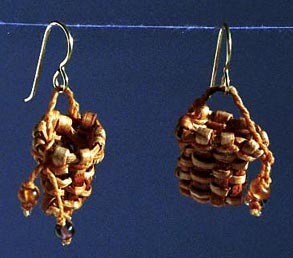 Sharle Osborne and her friends weave baskets. 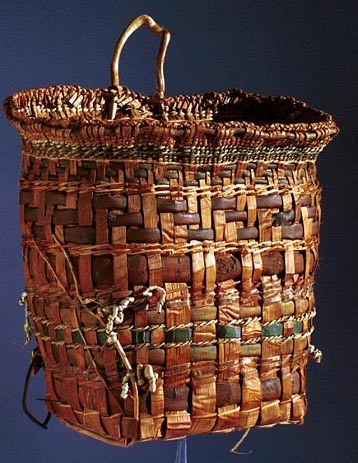 Native materials used in these works include western red cedar and Alaska (yellow) cedar bark and root, cherry bark, honeysuckle vine, bear grass, sweet grass, cattails, needle rush, and bulrush. The photos on this page were taken by John Gussman in the fall of 1999. Backpack of cedar, cherry & willow bark. 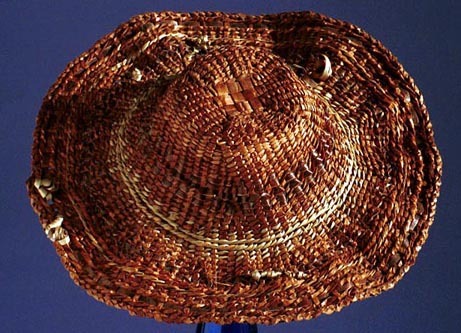 Twined hat of cedar bark, cherry bark and grasses. 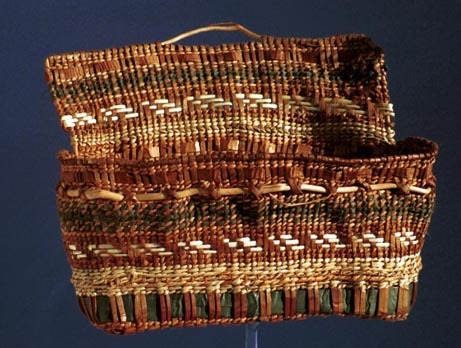 A list of native materials used in basket making.